Located in the heart of New York’s highly desirable SoHo Cast Iron Historic District neighborhood, the well situated 53 Greene is a stunning landmarked property steeped with timeless architectural splendor. The classic landmarked Beaux-Arts exterior of the six-story property faces a picturesque street, and retains the neighborhood’s unique charms with one of the few original granite cobblestone surfaces in the city. Originally built in 1867 as store and storehouse, 53 Greene Street first housed both Hess & Goldsmith Company, the country’s leading manufacturer of silk goods for its time, and then a plumbing manufacturing company. When Manhattan-based developers AORE purchased 53 Greene, they enlisted the design help of N+ Architecture and RSVP Architecture Studio to completely renovate the property to offer buyers the authentic sensibility of SoHo’s cast iron lofts combined with such modern elements as premium finishes, top-of-the-line technology and a timeless contemporary design. The exterior of the 35-foot property has been fully returned to its original beauty with columns, capitals and cornices restored to match historical standards in the neighborhood, a classic façade of Tuckahoe marble, and a refurbished cast iron sidewalk vault lights with bullet glass. 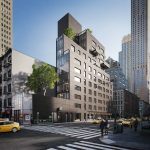 “The extensive renovation of 53 Greene was truly a passion project as our philosophy hinges on creating homes that present the highest quality through and through, while also adding value to a streetscape. 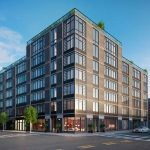 Early buyer response has been overwhelmingly positive, and it’s fulfilling to see this property find new life,” said Yan Ouaknine, co-founder of AORE. 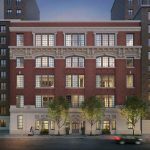 The recent unveiling of the magnificent penthouse, available for $14.05 million, marked the official launch of sales at 53 Greene Street, with residences starting at $6.34 million. With exclusive sales and marketing by Brown Harris Stevens SELECT, three homes are already in contract following a limited pre-opening phase. 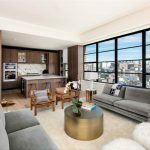 53 Greene Street features five expansive full-floor residences, replete with private elevator access, oversized windows, soaring ceilings up to 13 feet, walnut flooring throughout, gas fireplaces and a building-wide water filtration system. 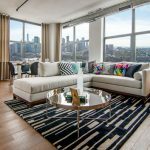 The magnificent 3,510 square feet penthouse offers three bedrooms and four bathrooms, and features a private 2,067 square foot rooftop lounge accessed through massive sliding glass doors that frame the home’s kitchen and dining area with fireplace. 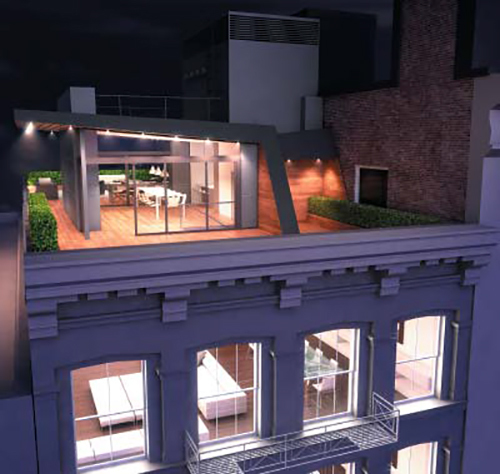 The four full-floor residences include 2-bedrooms and 3-bathrooms across approximately 2,771 square feet. 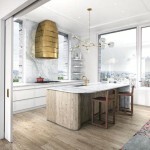 The modern kitchens create sleek focal points for each residence with 11-foot high lacquered Alaskan white and ballistic grey cabinets and premium stainless steel appliances, including Gaggenau double ovens, gas cooktops, teppanyaki grills, wine coolers and dishwasher, as well as Miele refrigerators and freezers. Luxury is infused into the spacious master bathrooms which include a selection of rich materials such as slabs of Pietra Cardozo and Calacatta Michael Angelo marble on the walls, accented by Calacatta Michael Angelo marble slab flooring and stone countertops.